Android or Google Android is the latest craze in the mobile market. Everyone wants to have an Android powered Smartphone as it comes with many great features and apps and users can also download tons of apps and games from the Google Play Store. The main plus point of the Android is that it's a product of the search engine giant Google and comes preloaded with great services of Google such as- Google Search, Google Maps, Gmail, Google Plus, YouTube, Google Sync, Google Play Store and many more. Apps makes a phone complete and you can’t even imagine a modern Smartphone without having all these great apps from Google. By default your Android phone comes with most of the above Gapps but you can always download or update latest Gapps for android from Google Play Store. 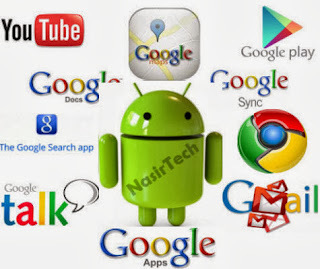 Google Apps or Gapps includes- Google Play Store, Google Search, Google Voice search, YouTube, Gmail, Gtalk, Google Maps, Google Music, Google Sync, Google Docs, Google Backup Transport, Google Currents, Google Calendar, Car Home. Although Android phone preloaded with Gapps package but for some cases you may need to install Gapps manually. All most all Stock firmware or official firmware come with Gapps package but when you wish to flash custom ROM, you need to install separate Gapps package as most of the custom ROM developers are not including Gapps with their ROM. So, if you are a frequent custom ROM flasher, you have to install latest Gapps package through custom recovery after installing the ROM to get all those great Google services. In Google Play Store, you have to download each Google apps separately, so it’ll be better if we find a complete Gapps package to get all those apps at a time. Google Play Store occasionally provide update for all their apps to add new feature and bug fixes, so we should upgrade our device to the latest Google Services. But updating all those apps separately will take a lot of time instead we can find latest Gapps package and flash through CWM Recovery or TWRP Recovery. In this article, you’ll find latest Gapps package for your android phone running on any android version (Gingerbread, Ice Cream Sandwich, Jelly Bean) and some special Gapps package for custom ROM like- CyanogenMod, ParanoidAndroid, Slim ROMs, MIUI and many more. Download Gapps for android from the below. So, download latest Gapps for android from the above list and flash through custom recovery. Hope you find latest Gapps for your android version in the above list. If you face any problem with downloading any Gapps file or download link not working or looking for any other Gapps package, then feel free to contact with us using the comment form below.